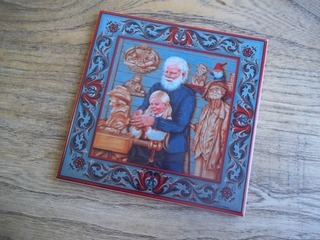 A beautiful addition to your kitchen, featuring Norwegian master carver Fred Cogelow teaching a young student his craft. 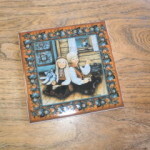 6 inch square tile. 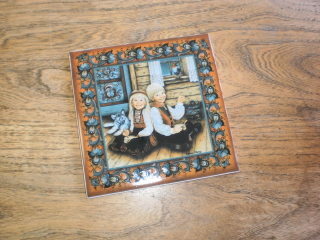 This tile depicts a Scandinavian boy and girl enjoying their rice pudding while “friends” look on. 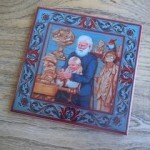 6″ square. 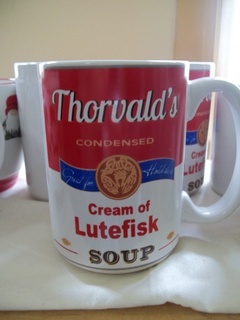 Just what every Swede needs! 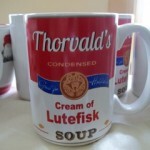 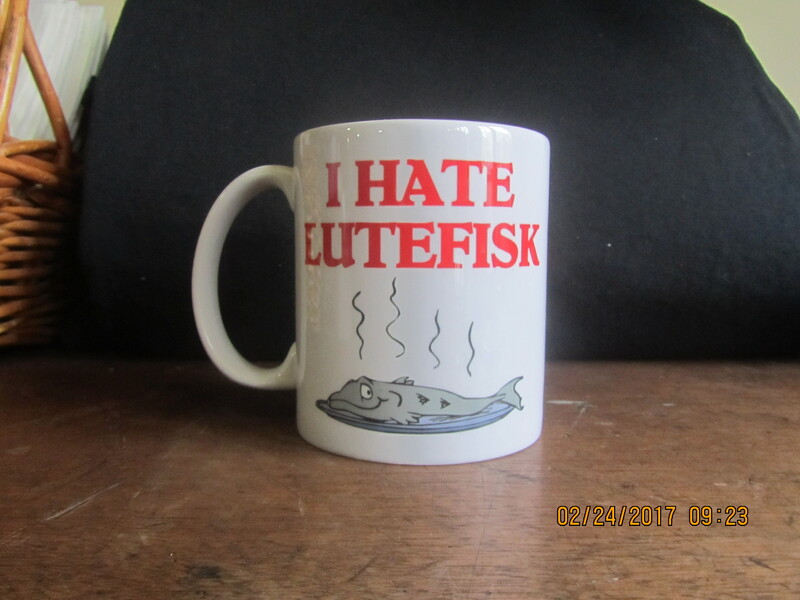 This mug is sure to delight anyone who’s every been subjected…errr, invited…. 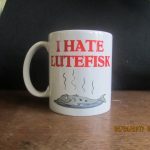 to a lutefisk dinner. 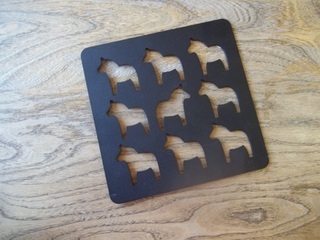 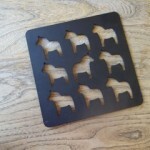 Heavy duty design coupled with Swedish good looks makes this trivet work extra hard in your kitchen! 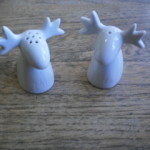 Add a touch of Scandinavian whimsy to your dinner with this fun moose salt and pepper set. 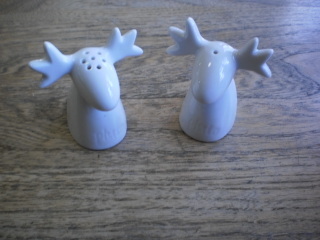 2.5 inches tall. 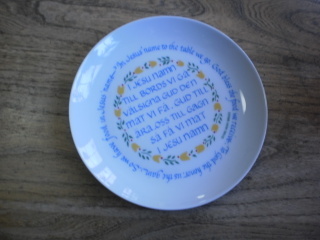 The traditional Swedish table prayer depicted in both Swedish and English on a lovely porcelain plate. 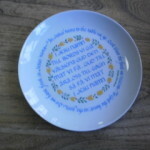 7.5″ diameter.